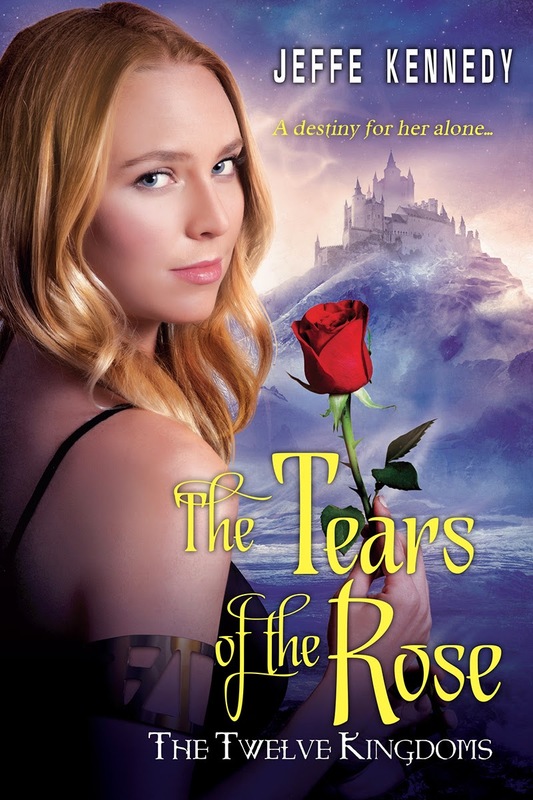 I was nervous about writing The Tears of the Rose, the second in my Twelve Kingdoms series. Readers met her in the first book, The Mark of the Tala, as the heroine Andi’s little sister. Far more beautiful and terribly spoiled, Amelia—or Ami—doesn’t really come across well. She’s not strong. She’s perfectly happy to be taken care of and protected. She’s self-involved and more than a little narcissistic. She had a long, hard journey ahead of her. That’s okay. She was flawed, a product of her environment, but she would change. Eventually. I just hoped that readers would put up with her long enough to get there. To my great relief, early reports are that readers love this book more than the first one. The hero has something to do with that, I think. But a lot of it has to do with Ami and how she finds it in herself to become more than what she was. It helps that she begins the story having her heart ripped out. Even if we itched to slap her more than once in The Mark of the Tala, I don’t think any of us wished on her the tragedy she suffers at the hands of the people who love her most. At the same time, the grief is what tempers her, what forces her to see what truly matters in the world and in herself. It was fun to play with the layers of Ami’s image, both public and private. As the most beautiful woman in the Twelve Kingdoms, she’s been lauded and praised in song and story. Everyone thinks they know who she is and what she’s about. For a long time Ami buys into her own press. Only when she’s isolated and alone does she realize that very few people know or love her for who she actually is. Her sisters do—despite all that’s happened—but most of the world loves only the surface. Of course, there’s never been much under it before. In the end, that’s what redeems Ami. The judgment she passes on herself is far more severe than any of us would level on her. And she grows up. Fast, painfully, and shaped by her own ideas instead of everyone else’s. I kind of love the last line of the blurb: Can the prettiest princess become a pawn - or a queen? It takes a lot to be a queen. And I love how Ami manages to get there. Three sisters. Motherless daughters of the high king. The eldest is the warrior-woman heir;the middle child is shy and full of witchy intuition;and the youngest, Princess Amelia, she is as beautiful as the sun and just as generous. Thanks for hosting me here today!